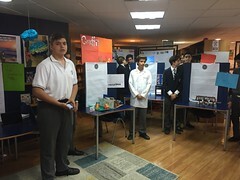 On Friday, October 20th, The Mackay students Benjamín Bravo, Vicente Ahumada, and Vicente Gonzalez traveled with the St. Paul’s and St. Peter’s schools to the Grange school in Santiago in order to take part in the ABSCH Debate Day. This was a friendly debate competition designed to teach students about the terms and strategies of debate. Students learned about the importance of “flagging “their arguments, which is a debate term for properly organizing their speech. 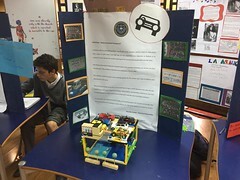 The students also learned about the three different types of motions: policy, fact and value. 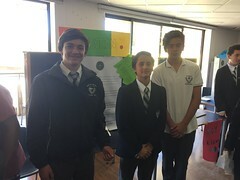 Instead of the usual three students per team format, these debates teams were comprised of five participants. 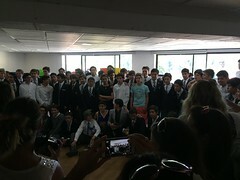 Two students from each team were asked to perform in a special “face-off” round which was a back and forth discussion. 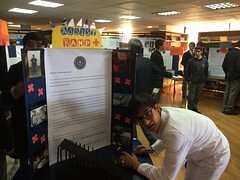 Also included was a question and answer period where teachers and other students could postulate questions for either the proposition or the opposition. This forced students to come up with convincing arguments on the fly. 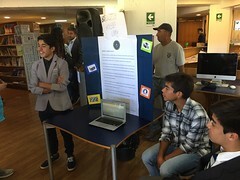 The day included three total competitions, and The Mackay students were happy to get a chance to meet people from other school while also learning more techniques for a quality debate. These students will return to the Grange School on November 4th to participate in the third round of the ESU competition. We wish them luck! « So You Think You Can Sing, Design and Act? ?